A loan of $825 helped to remake his truck as a pickup and to transport wood from the forest to sell. Gela is a 32-year-old married man. 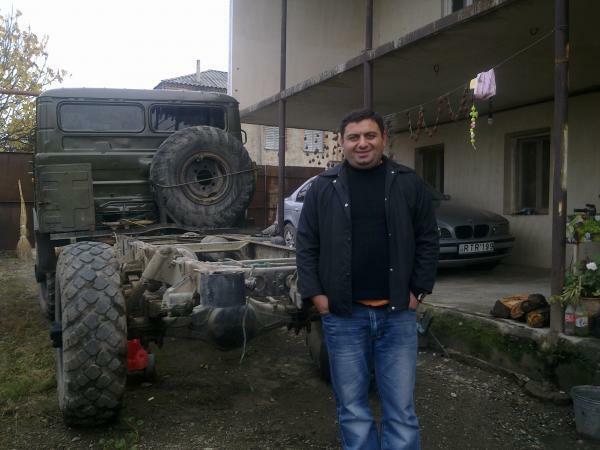 He lives in a small village in Telavi district with his wife, son, brother and his family. The only source of income for his family is from agricultural activities. In particular, they have a vineyard. Gela does all the agricultural work to harvest good grapes. He produces wine and vodka, which is sold locally. Gela has a truck and has decided to start an additional business using his truck. The Start Up program, which is a joint initiative between Kiva and Credo, enables him to get a loan of 1,400 GEL to install gas in his truck and also to remake the truck as a pickup. He will load wood on it and transport it from the forest to sell. The Start Up program will be a great support for his family.